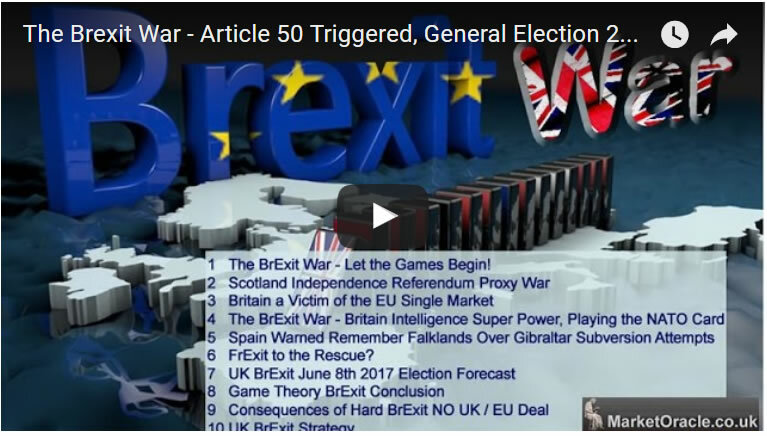 Firstly, the following video charts how we got here from the triggering of Article 50 to the present crisis state, a trend trajectory that has put Britain literally on the path towards civil war! 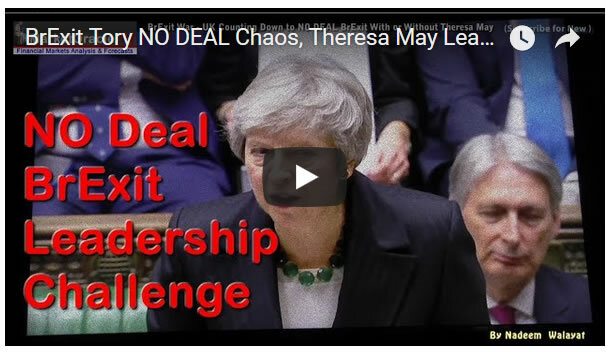 My long standing view is that Theresa May's days are numbered, so she should do the right thing which is to resign as she clearly has no control over her party let alone Parliament. 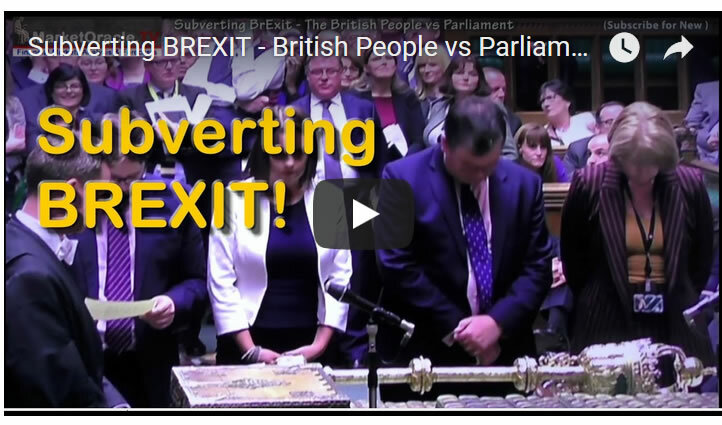 Meanwhile the media is reporting on a coup under away amongst the bulk of cross party REMAINER MP's attempting to take power away from Theresa May's government with the aim of subverting BrExit, the primary mechanism through which would be a so called "Peoples Vote", despite the fact that the EU referendum was a people's vote! With the people voting AGAINST Britains political establishment. Other mechanism is to re-write the EU withdrawal agreement to basically result in a "NO BrExit" Brexit outcome. And so their first objective will be to Kick the Brexit date down the road, until AFTER the 2nd Referendum is held. Whilst my consistent view remains since Article 50 was triggered in March 2017 that Britain was on a trend trajectory to LEAVE the EU without an Exit Deal.